The latest innovation coming back from a world-class smart phone: HTC Corp. Series that have the name of this HTC Dream, the operating system that can are much discussed. Of course a lot of cool features that brought this smart phone. Although not the only smart phone that has the operating system android, HTC Dream, but so be the first globally to Asia-Pacific region, especially Singapore. Smart phone operator Sing Tel has a sponsor this technology and touch qwerty keyboard, with the maximum ability. Moreover the presence of additional products and services from the popular Google. 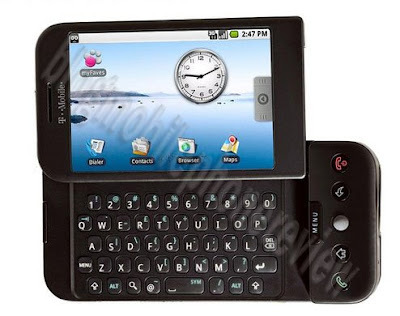 Through this operating system, users can add the HTC Dream various unique applications to improve and beautify this smart phone interface, through which services were provided HTC and Google. For the ability of business, use this smart phone processor Qualcomm MSM 7201A 528 MHz, WiFi connection, Network HSDPA, GPS and various office applications such as Pocket Office (Word, Excel, PowerPoint, PDF viewer), and ease of access to email service.